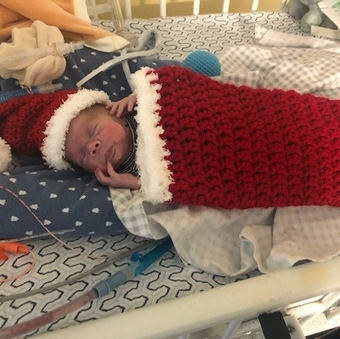 Doctors weren’t sure Josie Boswell was alive shortly before she entered the world 15 weeks early, weighing less than 1 pound. Complications had put her young life in a risky position. Her mother, Sara Boswell, had a form of high blood pressure known as preeclampsia and the placenta holding Josie had a hole in it. But an army of specially trained nurses and doctors, along with Josie’s fight to live, got her through one obstacle after another. Josie required advanced pediatric care in pulmonology; cardiology; endocrinology; anesthesiology; infectious disease; ear, nose and throat and surgical services. She touched on all of Novant Health’s pediatric subspecialties, except one: genetics. Josie’s team at Novant Health Hemby Children’s Hospital consisted of nurses, respiratory therapists, occupational therapists, physical therapists, pharmacists, dietitians, intensivists, doctors, child life specialists and much more. All of whom were dedicated to Josie’s around-the-clock care. The neonatal and pediatric intensive care unit teams weren’t just there for Josie. They were also there for Sara and her husband, Whit, the entire time. Before Josie’s arrival, her parents, who live in Monroe, North Carolina, first had to make tough decisions. Because of Sara’s preeclampsia and the placenta supplying blood to Josie was damaged, doctors told Sara and Whit they had two options: vaginal birth or a C-section. Doctors said a C-section carried more risks for Sara because of her preeclampsia. Her parents decided to have a natural birth. While in the hospital, Sara and Whit, decided to read the book, “Hello Ninja,” she read to Josie throughout her pregnancy as a way of saying goodbye to their unborn daughter. Worried that their daughter would not survive, they began to prepare themselves for the loss. But Josie chose that moment to announce her presence by kicking Sara. Sara and Whit decided to give Josie the best chance at living and scheduled the C-section. Because of the early delivery, doctors told Sara and Whit that Josie had a 50 percent chance of making it and a 70 percent chance of being severely disabled or having developmental delays if she survived. Although those statistics were ringing in their ears throughout delivery, the dark clouds evaporated at the sounds of Josie’s first cries. 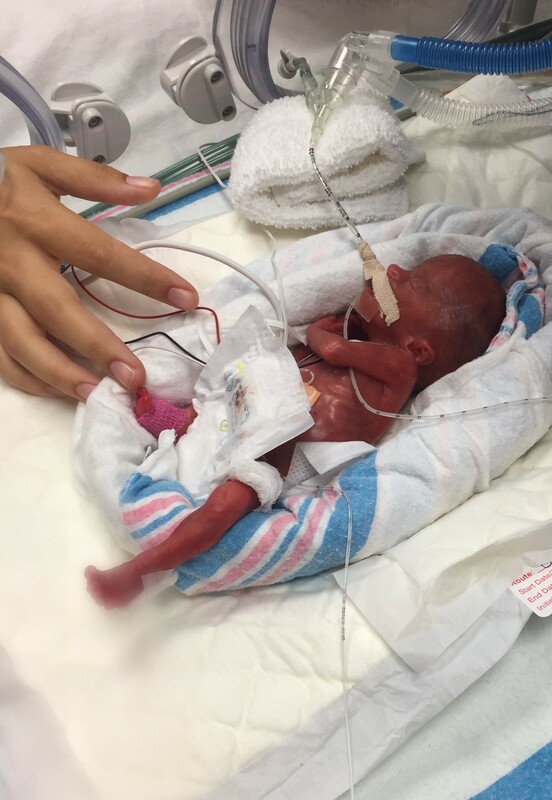 At 25 weeks, Josie was considered a micro-preemie. Most of her organs were underdeveloped and unable to function on their own. Josie went straight to the neonatal intensive care unit (NICU) at Hemby. Because of her medical complications, the NICU became Josie’s home for the next seven months. Josie had pulmonary hypertension, a type of high blood pressure that affects the arteries in the lungs and right side of the heart, and a heart murmur. But Josie hit a roadblock to development when she caught pneumonia and sepsis at three months. 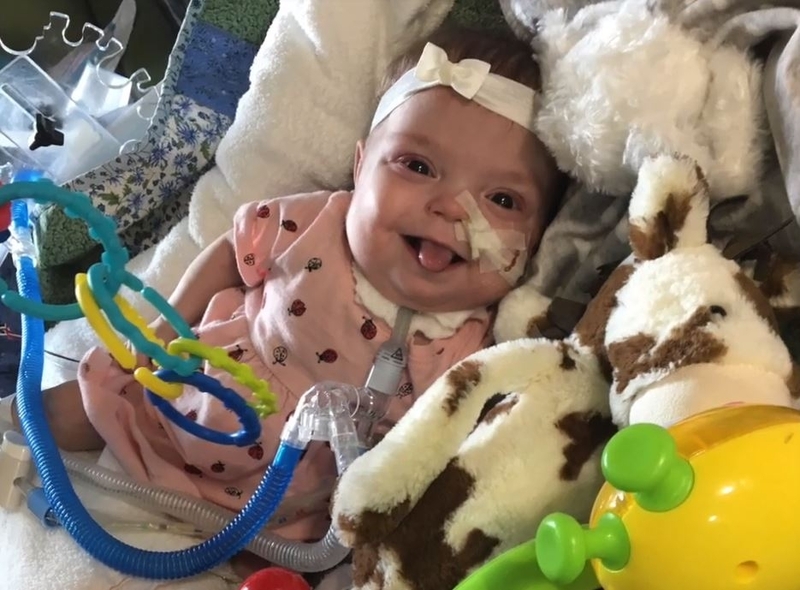 She wasn’t able to come off the ventilator and ultimately developed bronchopulmonary dysplasia (BPD), a chronic lung disease resulting from significantly premature lungs and lack of development. In January 2018, Josie needed a tracheostomy, a procedure where surgeons make an incision in the neck to create a direct airway for a breathing tube. At 5 months old, Josie became completely vent dependent. Becoming vent dependent also caused Josie to have a feeding tube directly into her intestines to make sure she got enough calories and to prevent further complications with her lungs. 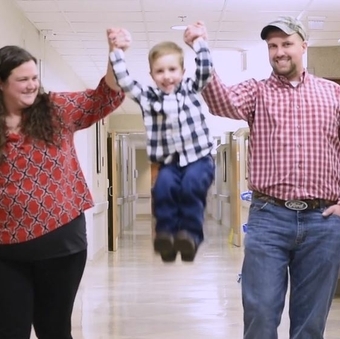 After seven months in the NICU, team members felt Josie was stable enough to go home. Josie had to return to Hemby after three weeks. This time at the pediatric intensive care unit (PICU). The PICU became Josie’s home for the next 10 months. While intensivists tried to get her lungs functioning, cardiologists noticed Josie’s underdeveloped heart had a blood vessel that should have closed but remained open, which further complicated her lung disease. “Once she came back to Hemby, everything slowly started to improve,” Nazarian said. Through the wires and beeps of the heart monitors, everyone at the NICU and PICU still made every effort to make it feel like home for Josie. After spending 17 months of her life in the NICU and PICU, Josie went home. This joyous step in Josie’s life was met with bittersweet emotions by anyone who came across Josie. As for what’s next, Josie still has a long road ahead of her. Her home treatment consists of ventilator treatments every six hours, managing her feeding and watching her oxygen levels. Although Josie’s journey will have bumps along the way, her doctors not only credit her will to live but her parents’ dedication to this next step in her life. Sara and Whit are confident Josie will continue to do what she does best—fight to live. Today, if you asked, “Josie, how big are you?” you’d be met with Josie’s arms swinging open and a smile stretched across her face. While she wasn’t big in size just 18 months ago, there was something big in her that everyone saw—her fight and will to live. From neonatal and pediatric intensive care to a wide variety of pediatric specialties, Novant Health Hemby Children’s Hospital provides comprehensive care for your child from birth through the teen years. Learn more about how our team can provide expert care for your child both in the hospital and at our local neighborhood clinics.